I was super excited to try these. I rarely use masks, but wanted to incorporate different types into my routine either weekly or bi-weekly, but definitely more than once every few months like I have in the past. Directions: Apply evenly to face, avoiding eye area. Leave on 5-10 minutes or until dry. 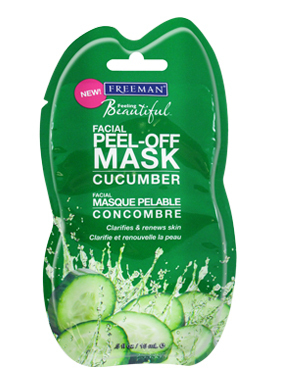 Gently peel off mask. Rinse with warm water. This mask was so much fun to use. It reminded me of when I was younger and used to put glue on my hands and peel off the glue. 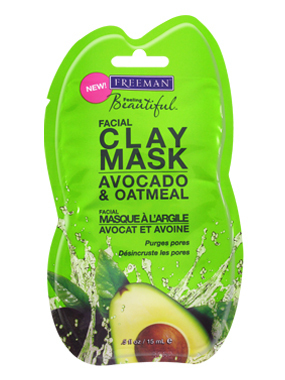 Anyway….After I used this mask my skin was looked brighter and felt very smooth. The cold weather has taken a toll on my skin, so after I used this I was pleased with the results. My skin was no longer dry and dull. The cool gel was a nice feeling and it was very soothing. On a scale of 5 I would give this mask 3.5-4. It was a little painful pulling the mask off around my nose and the smell was quite strong, but those were my only complaints. I would purchase this product in the future. Pollution…debris…it’s a wonder skin can breathe! This unique mask and scrub works double time to detox skin. 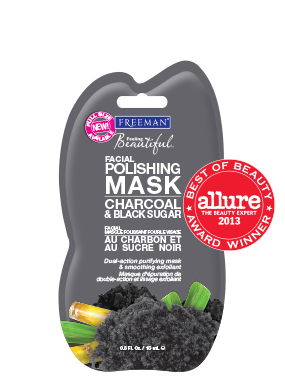 First, naturally purifying Activated Charcoal helps absorb oil and impurities without over-drying. The, Black Sugar helps exfoliate away dulling skin cells for softness and clarity. Perfect for all skin types. This had to be my favorite mask out of all three. I was very pleased with my results. First I was excited to try a charcoal mask. I’m a sucker for a good exfoliator and this was the perfect product. Not only did it my skin feel soft after use, my skin was noticeably brighter. It did not dry like a normal mask, so I would call this more of a scrub. I would use this every few days (3-4) if I were to include this in my routine. On a scale of 5 I would give this product a 5. It was a great exfoliator, has a great smell, and it did not leave my skin feeling dry. The results were great and I will be purchasing this. This was my least favorite out of all of the masks. I was excited to try this one because I love avocado lol. I love to eat avocados and use avocados in masks for my hair. So I thought it should me good for my face, but I was wrong. Once the mask started to dry it became extremely tight and I started to feel a tingle and a slight warm sensation, which was not pleasant. I left the mask on for about 5 minutes and then rinsed. I had to immediately put on moisturizer because my face felt dry. I did not have this feeling with the other mask. On a scale of 5 I would give this product a 2. This is the only one that I would not purchase. Feeling Beautiful™ is famous for mixing feel-good fun with fresh botanicals to make products that feel good, smell good, and do good for skin! We are in constant pursuit of the newest, purest, most effective ingredients, unearthed in nature and sourced from science, all to make gorgeous skin possible for women and girls. 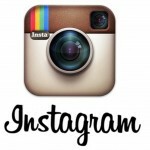 Ready to look and feel your best? Start your Feeling Beautiful™ regimen today! Bask in the afterglow of our refreshing cleansers, exfoliants, and masks in every form. From our classic formulas to innovative products that set the bar for skin care, Feeling Beautiful™ believes beautiful skin is worth celebrating! Disclosure: The masks were provided by Klout as a perk for my level of influence in social media. All of the thoughts in this post are my honest feelings about the product.